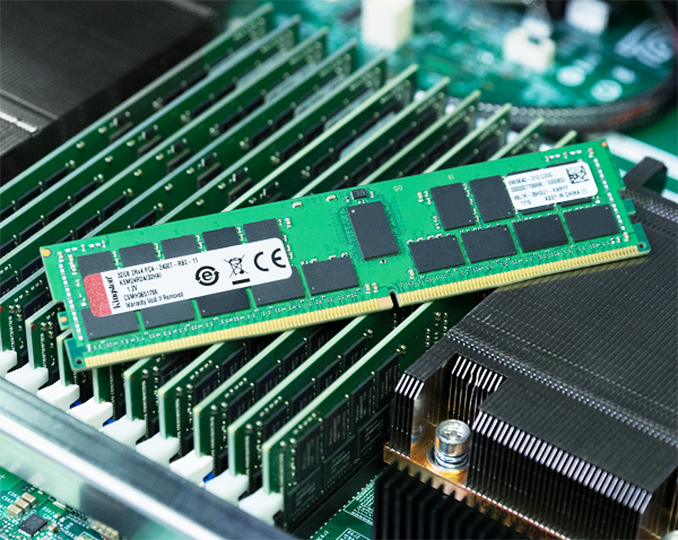 Kingston’s DDR4-2933 Server Premier registered DIMMs have been burn-in tested by the manufacturer and validated by Intel for its Cascade Lake-SP platform. Therefore, they can be deployed right away. Besides, Kingston’s Server Premier RDIMMs feature a locked bill of materials (i.e., the manufacturer does not change components used to build the modules over time so that its customers do not have to re-validate them with their motherboards) and if their BOM has to be changed sometimes during their lifecycle, the company will notify its clients 45 – 90 days in advance. Finally, they are covered by a lifetime warranty.